← 1st Annual Pacifica District Pinewood Derby Shootout! Last Friday the Pacifica District held its annual recognition dinner for adult volunteers. Two members of Pack 227 were recipients of the “Unit Exceptional Scouter Award”. Robin Watson earned the award for her years of work as a Den Leader (Den 5). However, as most of you know she has done much more than that. For the past few years she has been in charge of our Pack’s Scouting for Food program which provides donated food to the Second Harvest Food Bank. She has also organized our annual Christmas Caroling. Ramon Perez earned the award for his work as a Den Leader (Den 6) and, more importantly, as Committee Chair. As Committee Chair, he worked tirelessly on so many things that we take for granted such as the Pack website, re-chartering, Packmaster and planning and running Committee meetings. 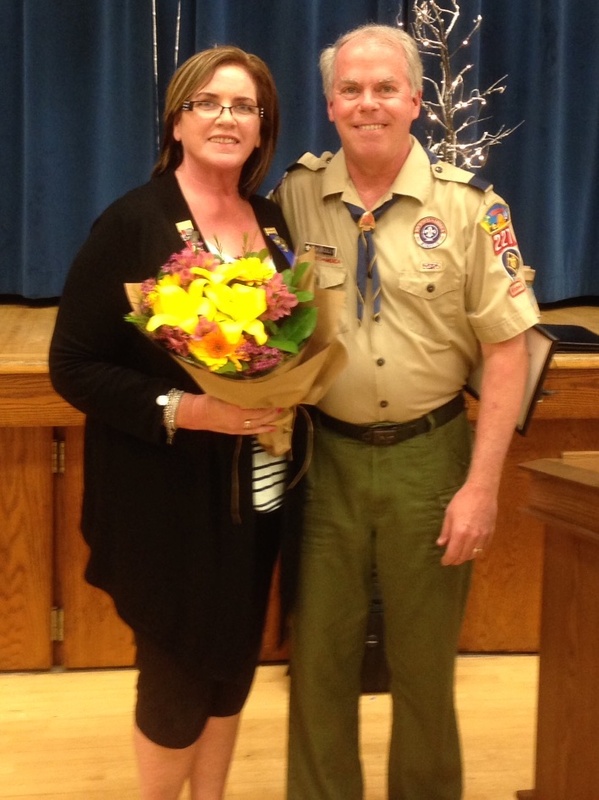 He has literally worked hundreds and hundreds of hours over the past 5 years on behalf of Pack 227. The next time you see Robin or Ramon please congratulate them on receiving this well deserved award and say “thank you” for their service to Cub Scouts.